This was only the start of something very good. Looking over Wild Goose Island was a feast of color. It’s amazing how much more color you can get with the proper mixture of sun and clouds. No clouds, you get little if anything. All clouds, you get nothing. The right mixture, you get the following. 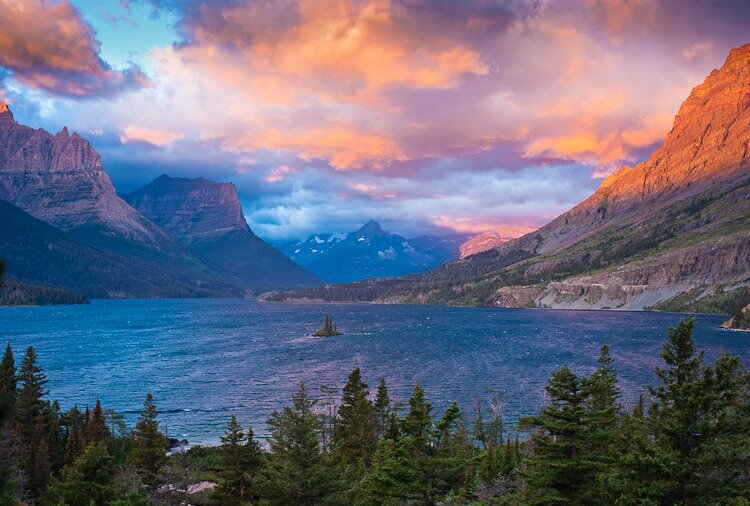 And that, in a nutshell, is why Wild Goose Island is the most photographed spot in Glacier National Park (other than, of course, that it’s very easy to access: just step out of your car and start shooting! ).